Infocus has announced a new 18:9 display smartphone in India, dubbed as the Infocus Vision 3 Pro. The Vision 3 Pro succeeds the Infocus Vision 3 which was launched last year with an 18:9 display at an affordable price point of Rs 6,999. However, the Vision 3 Pro is priced on the steeper side at Rs 10,999, but it brings some upgrades to the table when compared to its predecessor. The newly announced device will be exclusive to Amazon India and is already available for purchase. The device competes with the likes of Xiaomi Redmi Note 5, Honor 9 Lite and Tenor G smartphones in the country. 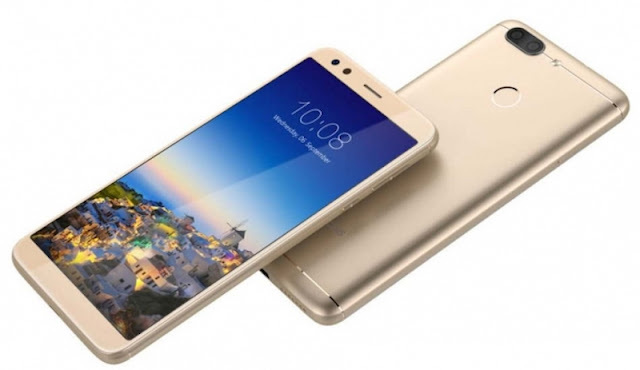 The Infocus Vision 3 Pro will be available in Midnight Black and Gold colour options. It also comes with the much-hyped Face Unlock feature, which we have seen on other devices such as the Honor 9 Lite and Redmi Note 5 Pro available in the similar price range. The device rocks a 5.7-inch HD+ display with 2.5D curved glass on top. This is slightly underwhelming as the competitors pack a Full HD display in the similar price range. Infocus claims that users can unlock the device in 0.5 seconds with the Face Unlock feature. For others who find difficulty in using the Face Unlock mode, there’s a rear-mounted fingerprint sensor as well. Internally, it’s powered by the MediaTek MT6750 chipset, clubbed with 4GB of RAM and 64GB of onboard storage. There’s a microSD card slot for storage expansion up to 128GB, but it’s yet to be known whether it’s hybrid slot or a dedicated SD card slot. Infocus has added dual camera setup on the Vision 3 Pro. A 13MP primary camera is present at the back with f/2.0, PDAF along with an 8MP secondary shooter with 120-degree wide-angle lens. Up front, the smartphone has a 13MP shooter for selfies. Infocus has added its own version of Bothie feature called ‘Dualfie.’ This allows users to capture pictures from the front & rear cameras at the same time. Another letdown with the device is it boots Android 7.0 Nougat out of the box. This dual-SIM smartphone offers 4G LTE, VoLTE, Wi-Fi, Bluetooth, GPS and a micro USB port for data transfer & charging. Sensors in the device include Proximity, Ambient light and Accelerator. On the brighter side, the device packs a 4000mAh battery inside. InFocus A2 is the latest handset to be launched by the company in the entry-level smartphone segment in India. 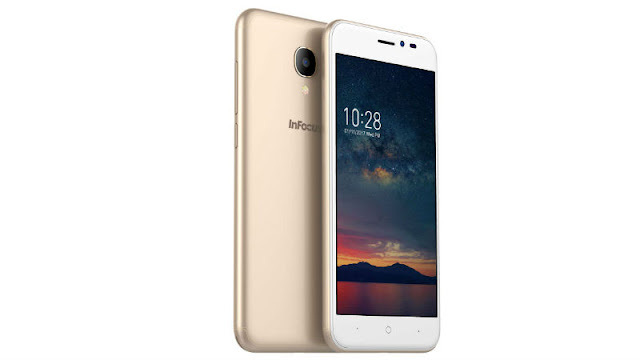 The InFocus A2 has been priced at Rs. 5,199 and will be available via offline retailers. The key highlight of the budget smartphone by InFocus is that it supports 4G VoLTE. The smartphone comes in only one variant, with 2GB RAM. However, the handset comes in two colour options - Black and Champagne Gold. At this price point, the phone will compete with the popular Xiaomi Redmi 5A. The InFocus A2 comes after the launch of InFocus Vision 3 smartphone in India. As for InFocus A2 launch offers, Reliance Jio users purchasing the smartphone will receive up to 30GB of additional 4G data. Additionally, MobiKwik users who use the e-wallet to purchase the new InFocus smartphone can avail up to Rs. 300 as cashback. InFocus A2 runs Android 7.0 Nougat with 360 UI running on top. There is no information whether an Android Oreo update will be available in the future. Meanwhile, the smartphone features a 5-inch HD display with a 2.5D curved glass on top and a resolution of 720x1280 pixels. The InFocus A2 is powered by a quad-core Spreadtrum SC9832 processor clocked at 1.3GHz. When it comes to the camera, the InFocus sports a 5-megapixel primary camera at the back accompanied by a LED flash. There is a 5-megapixel camera at the front for selfies. The rear camera features like zero to seven beauty levels, innovative camera filters, pro mode , and FaceCute. The onboard storage capacity on the InFocus A2 is 16GB and it is expandable via microSD card (up to 16G ) slot. It is powered by a 2400mAh battery. Also, the smartphone lacks a fingerprint scanner. Connectivity options in InFocus A2 include 4G VoLTE, Wi-Fi, Bluetooth, FM radio, GPS, Micro-USB port and 3.5mm headphone jack. In terms of dimensions, the smartphone measures 143.9x71.7x8.9mm.